Breeder’s Choice is a nationally recognized dog food organization coming out of Irwindale, CA. Breeder’s Choice is a wholly owned division of Central Garden & Pet Company, currently specializing in developing high quality and ultra premium diet specific foods. These specially formulated foods are offered to breeders and zoos across the country and indeed around the world. The commitment of Breeder’s Choice is to produce not only dog food with superior nutritional content, but also one that focuses on preventative care for pets. For more than half a century Breeder’s Choice have been changing the way Americans have been feeding their canine companions. As far back as 1947, Breeder’s Choice introduced a range of frozen meals for pets. Natural dog foods are on trend with modern dog owners, but Breeder’s Choice had this mentality in their business model over fifty years ago! Breeder’s Choice was one of the first dog food brands to take into account the special dietary needs of dogs and one of the first companies to fulfill this need by incorporating whole foods and veggies. In the sixties, Breeder’s Choice went a little further with their baked dog treats. This brand was one of the first dog foods to actually exceed the minimum nutritional value allowed for pet food at the time. In the 1960’s, dogs were not necessarily treated as well as they are today. Dogs were not treated like a member of the family, and their nutrition was not often taken into account. 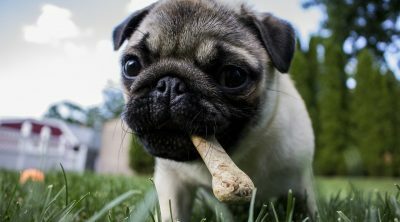 Dog treats certainly were not thought to be healthy, or created to be so. 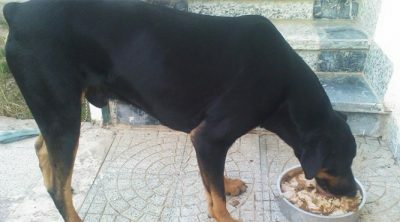 Breeder’s Choice went outside the norm of this generation, and looked at the whole dog, the dog of the family, and created food and treats to appeal to the health of the dog. Expanding their dog food line to include treats sent the company further down the road toward the ultra premium brands that we see today. The bakery that first created these little dog treats is still in operation today-helping to train today’s generation of pampered pooches just as they have for over 50 years. Many dog owners and veterinarians have found over the years that to keep a dog healthy, one must first begin with proper nutrition. 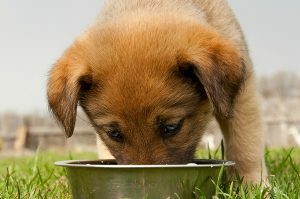 A healthy dog is one that is ingesting all of his necessary vitamins and nutrients, and is well hydrated. Eating a well balanced diet prevents future sickness, disease, and cancer, or at the very least, keeps your dog a bit healthier for a bit longer. Proper diet also improves the look of your dog, the feel of his skin and coat, and the overall joint health. Proper nutrition boosts your dog’s immunity, keeps your dog full of energy, and allows your dog to leave their best life. Breeder’s Choice dog food takes these factors into account when creating the perfect blend of ingredients for your pet. The ingredients used in this food are pure, clean, and natural; unlike the foreign brands of dog food that have questionable ingredients and possible toxins within their kibble. 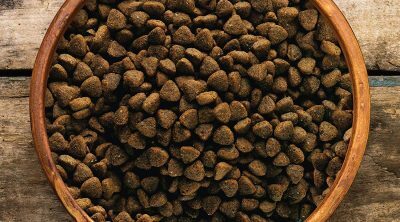 The substantial length of time this company has been in business allows Breeder’s Choice the knowledge and experience of creating one of the best dog foods on the market. There is no doubt that Breeder’s Choice will continue to go from strength to strength. The expertise that has been accumulated in the last 60 years is surely unsurpassed in the industry. The fact that they put so much emphasis on research and development is not only good news for the company but also for your dog. They are constantly looking for ways to not only provide the nutrition that your dog needs to be healthy but to stay healthy long into their old age. Breeder’s Choice is continuously evolving to create a steady stream of healthy dog foods and treats that are in line with the latest research. Safety precautions are met, recalls are issued voluntarily, and the nutrition standards are kept to a premium. The nutrition of your dog will be on par with the nutrition you have with your meals. 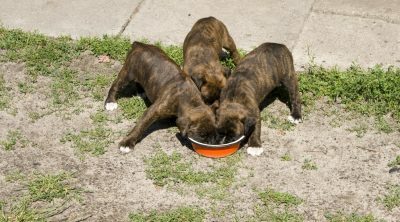 The continued success of the Breeder’s Choice organization allowed the developers to spend more time and money in researching dog nutrition. The added research of the developers eventually led to their signature brand AvoDerm. As Breeder’s Choice continues to evolve and advance, lines of premium dog food and treats will continue to be created. AvoDerm was developed after the company had a chance encounter with an avocado farmer. After a bumper crop from one harvest in the late seventies, a local co-op farmer approached the company to ask if they would be interested in purchasing avocados to be used in their dog food. Avocados were long known to be not only delicious, but avocados had a wide variety of uses in the cosmetics and beauty industries. Avocados are incredibly popular in today’s day and age, but the avocado was not as popular as a whole ingredient in the 70’s. The fruit was used of course, but not often in dog food. After extensive research, Breeder’s Choice concluded that certain properties contained within avocados were conducive to not only to a healthy, shiny coat, but could also promote a marked improvement in certain skin conditions. These health problems are now known to be caused by a lack of certain vitamins and nutrients. When a dog is lacking important nutrients from their diet, skin will flare, itch, and become full of rash. The coat of your dog will become dry, flaky, and unsightly. Rather than treat this condition, preventing the condition is the most proactive and preventative method. Treating skin and fur conditions from the inside out, with nutrition, is the easiest and most natural method of healing your dog. One of the key benefits to this line of food is the antioxidant super foods that are employed to aid the immune system. Antioxidants are the key components of wellness in later years and with development of a strong immune system. Prebiotic fibers are used for maximum fluid absorption at every meal and throughout all activities in between. Proper digestion is essential in all living beings, but especially in dogs. Offering prebiotics can help balance stomach bacteria and improve all around digestion. The AvoDerm product quickly became a hit with owners and pets alike, and was soon one of the most popular pet foods in the country. Reviews, word of mouth, and doctor recommendations led this food brand to success. The term “miracle product” was even used by some including Consumer Feedback. After prolonged growth, the company started to branch out to include several more lines and they introduced grooming aids and treats. Incorporating their balance of vitamins and nutrients with their already growing experience and knowledge of the dog food industry, Breeder’s Choice was able to expand with AvoDerm, as well as with other product lines. Along with AvoDerm, Breeder’s Choice now has three other brands; Active Care, Pinnacle and Advanced Pet Diets. All use only the highest quality ingredients and are consistently to be found among the top ten lists in pet food publications and internet sites across the country. Maintaining the brands in the top ten of dog food notoriety for three brands is tough for any company to accomplish, but the Breeder’s Choice organization strives for, and reaches, these high standards every year. Active Care is a specialty brand of Breeder’s Choice, specializing in nutrition that will help develop, maintain and help repair joints. Joint damage and premature aging of joints has become more and more of an issue in recent years with many people arguing that excessive in-breeding of pedigree dogs has lead to an alarming increase in inherited conditions such as hip dysplasia. Cartilage, which provides the lubrication between bones in a joint, age faster than the joint itself, causing premature aging and pain within the joint of your dog. Active Care uses supplements including chondroitin sulfate and glucosamine to help regenerate damaged cartilage and the heartbreaking pain that this can cause your dog. These ingredients are often the same ingredients recommended by doctors to humans suffering from joint pain. Those who find difficulty going up and down stairs, or moving in the morning, find that glucosamine is the vitamin of choice to repair and heal worn down cartilage. Dogs have a similar body make up as their owners do, and can benefit from the vitamins and homeopathic remedies of their owners to be used for their own healing. Dogs are known to be resistant to taking medications. Oftentimes vitamins and medicine capsules need to be hidden in foods, wrapped in cheese, or dunked in peanut butter before a dog will take the capsule and swallow it whole. To avoid this hassle, offering food with the needed vitamins already within the kibble can offer your dog the nutrition he needs, the joint care he deserves, and the homeopathic and natural wellness of modern science. The heart of Pinnacle’s ethos is a truly holistic approach toward dog nutrition. Limited ingredients carefully sourced and cooked under the most exacting of standards. Pinnacle use a standard of food that some other manufacturers deem ‘too good’ for animals, but when using a limited number of ingredients it is essential to use only the best that is available. 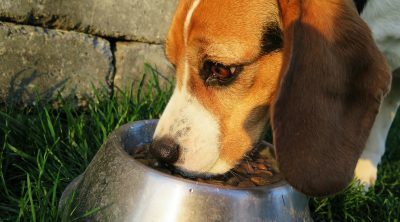 Many dog owners love their dog so much that there is nothing ‘too good’ to feed their pet. 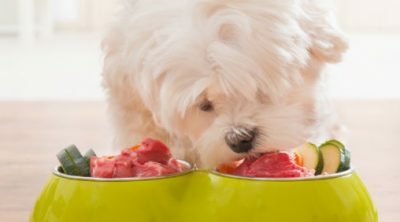 Traditional, generic dog food is no longer a choice for many people to offer their dog, knowing how beneficial proper dog food can be for the longevity of their dog. Just as they care for themselves, dog owners feel the need to care for their pets and their wellbeing by offering a proper diet. As with dog owners, the creators of Breeder’s Choice stick to this method of thinking and developing, thereby incorporating ethical business practices into their organization, and whole/natural foods into their ingredients. Advanced Pet Diets produce food to the same exact standards as the rest of the line, though it was originally designed for breeders and zoos. Those who create and distribute foods for a variety of animals, breeds, sizes, and developments are those who have the knowledge to create and evolve the foods we serve our domestic dogs. Wild animals have a distinct diet, and the domesticated dog (once wild in ancestry) is not any different. The dog needs to have a specially formulated food designed with their overall needs in mind, as well as their evolutionary makeup. The scientists and dieticians who create foods for zoo animals may be the best to incorporate their ideas into the food development for ‘simple’ animals such as your dog. As Advanced Pet Diets became more known for its quality pet food, it moved exclusively into the home based commercial market. With no use of BHA or BHT and featuring supplementary glucosamine and chondroitin sulfate, Active Pet Diets are also excellent in providing cartilage and joint protection and regeneration. A note on their website states that once the products are out of stock they will no longer be available due to product discontinuation, so if your dog likes Active Pet Diets I would stock up now. In the event you do not have access to this line but would like your dog to reap the benefits, try adding the key ingredients of supplementary glucosamine and chondroitin sulfate to your dog’s kibble or wet food, or offer a capsule wrapped in cheese or peanut butter. Using Breeder’s Choice lines of dog foods gives your dog the options of having these precautions taken before their food even reached their bowl. 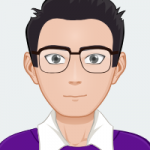 Those using the products regularly find that these areas of prevention allow them the reliability of a dog food that is both beneficial to their dog and well received. Those who have used the Breeder’s Choice brand of dog foods have had marked success with the overall health and healing of their dog. Using AvoDerm dog food, reviewers state the coats of their dogs have regained shine and softness, and the skin is less inflamed, itchy, and irritated. The Simply Natural brand from this line is often given high ratings on the internet review pages, all with glowing statements from dog owners. This food brand offers dogs chicken and vegetables, in a ‘simply natural’ food that rivals the dinner bowl of their owners! The Pinnacle brand of wet food has mixed reviews from dog owners. Some love the product and the natural goodness of the ingredients. Other dog owners have stated that the Pinnacle brand upset the stomachs of their dogs. For the type of dog you have and the special nutrition he requires, be sure to align your dog’s needs with the ingredients offered in the particular specialty line. There are so many choices of foods and ingredients in the Breeder’s Choice line, you are sure to find the right combination for your pet. Asking a vet for recommendations is a good start to this process, then introduce the new food slowly to ensure your dog does not have stomach upset. Breeder’s Choice does not often have recalls, but when a recall is made, the recall is voluntary. The recalls made in the past have been out of precaution only, and not due to serious dog health issues or contamination. Breeder’s Choice brand dog food is a long way from the frozen dog meals created in the forties, but it does make you wonder what Breeder’s Choice will have in store for us in the years to come. This line of dog food brands has begun their evolution of dog wellness before the trend took off in the 2000’s. Beginning the trend and continuing the standards will allow the Breeder’s Choice company to be trusted among dog owners. The organization has evolved quite a bit, all while maintaining their high standards and ratings across generations of dogs and their owners. Going forward, the company is sure to surprise and delight even the most finicky eater, all while benefiting them from the inside out. Does Your Dog Come When Called?